I’ve always been a bit timid when it comes to preparing chicken. 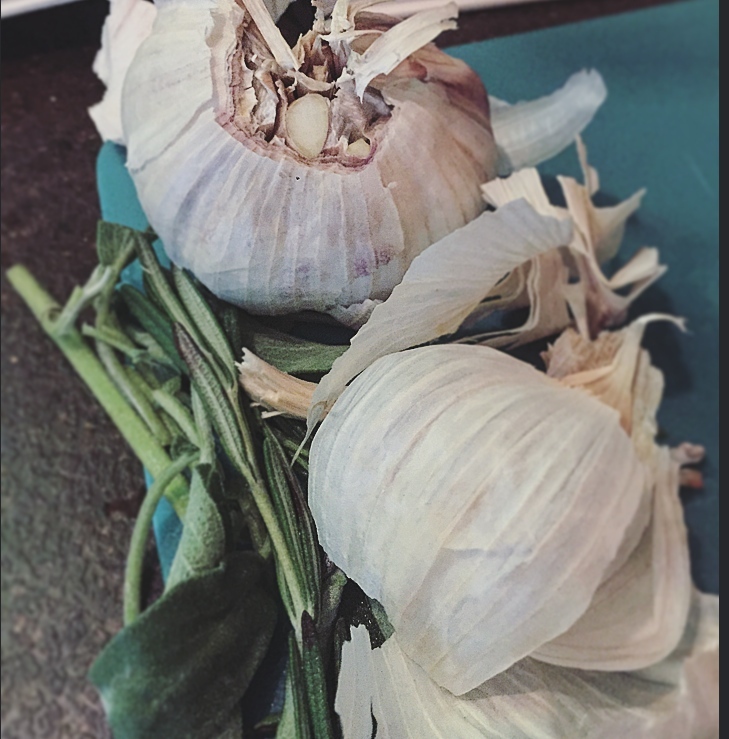 I’m terrified of undercooking it and making myself or anyone else ill, so I usually just opt for something I know how to cook like fish or beef and leave the chicken to other, more confident cooks. I recently decided to get over this fear and open myself up to the world of poultry. 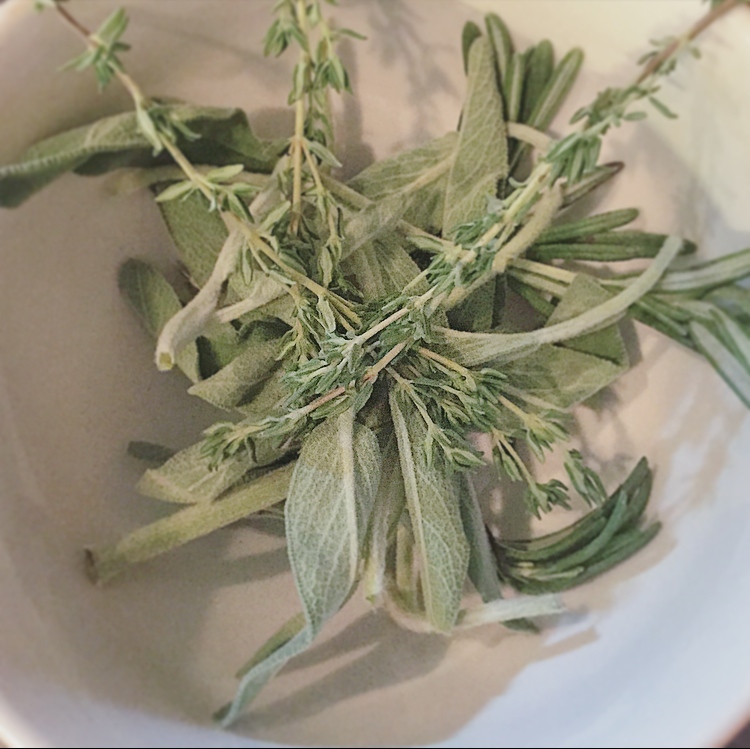 With all the fresh herbs and spices that bloom in the summer months, I realized this may be my last time to cook with the herbs I have growing in my backyard. I ended up making Garlic Herbed Chicken Breasts which tasted absolutely amazing and you know what? 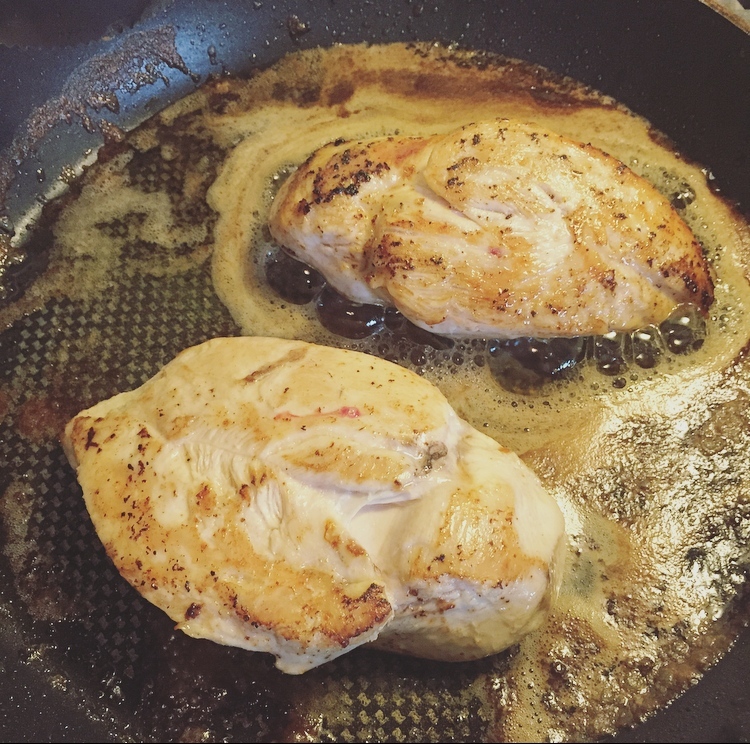 preparing chicken isn’t all that bad… you just have to know what you’re doing. heat a skillet over medium heat and add butter, once it starts to foam season your meat with salt and pepper and put it in the pan for about 6-8 minutes per side (until it starts to turn into a nice golden colour). Once chicken has reached a golden colour, remove it from the stove and relocate to a cooling rack or baking sheet. 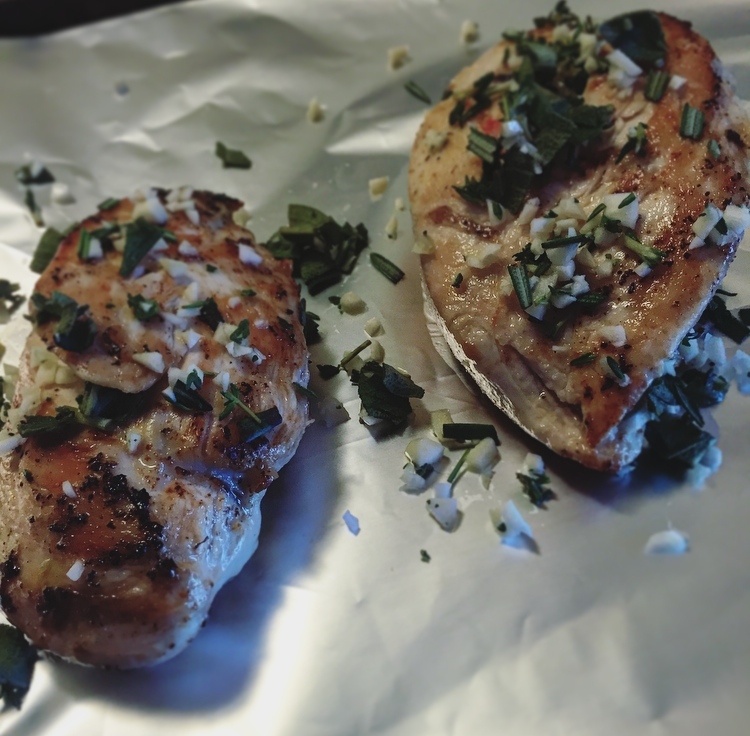 Season the chicken with garlic herb mixture. I found that the butter from the skillet really allowed the herbs to stick to the meat. Cover chicken breasts with tin foil and put in the oven for about 20-25 minutes. Once chicken has finished cooking, squeeze fresh lemon juice on the meat and let sit for an extra five minutes. 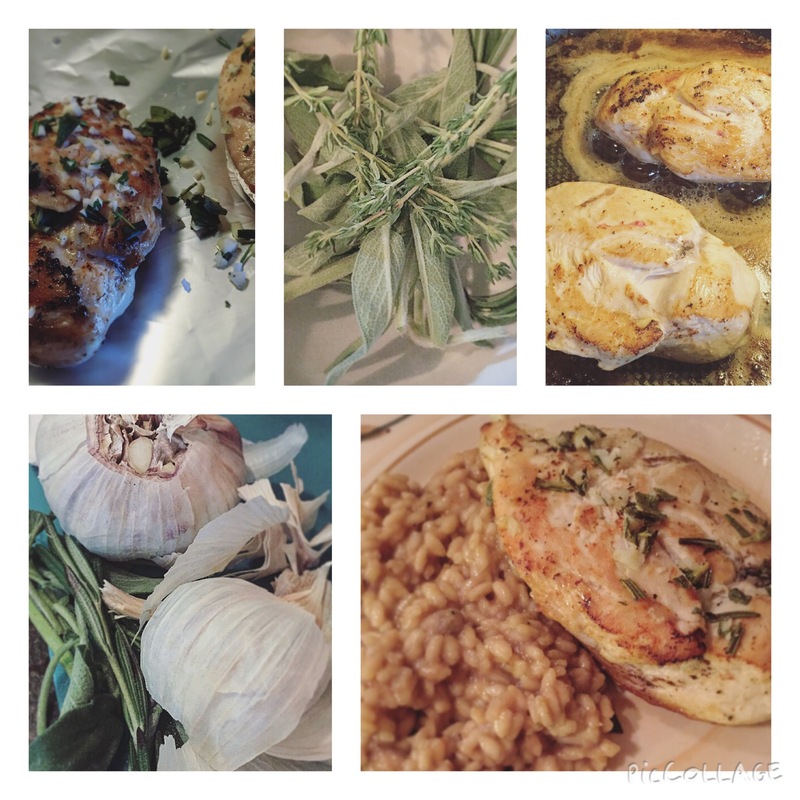 I paired the chicken with a delicious mushroom risotto which I felt really complimented the taste of the fresh herbs. 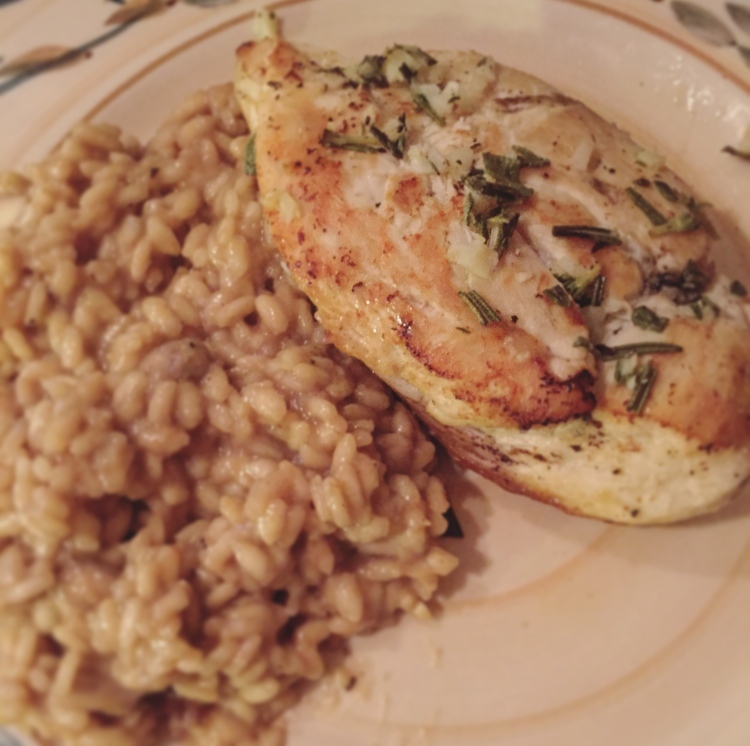 I absolutely loved this recipe and will definitely add it to my list of go-to meals.